Why don’t doctors advise a low FODMAP diet? Joy replied to my last post, pointing out that the low FODMAP diet ‘has been scientifically proven to improve the symptoms of IBS in 75% of sufferers’, but complained that none of her doctors seemed to know what it is. She adds ‘Fortunately, I am now working with the dietician to boost the positive improvements I gained from self help books and the internet. My first symptoms were overwhelming fatigue and back ache before anything obvious on the digestive front developed… all that has gone’. She asked if The IBS Network could highlight this wonderful diet to GPs. ‘It could save the NHS millions of pounds and a lot of people a lot of suffering’. I agree with you, Joy. It is important that people with IBS and the doctors looking after them know about and understand the principles of the low FODMAP diet. Restricting foods that contain significant amounts of fermentable carbohydrates (onions, pulses, plums and some other vegetables and fruits and in some people dairy and wheat products) can make such a big difference to the symptoms of IBS. It is not that FODMAPs cause IBS, but they can trigger symptoms of IBS in a sensitive gut. The most common risk factors in causing a sensitive gut and IBS are an attack of gastroenteritis and personal trauma, especially if they occur together. But – oh, there’s always a but, isn’t there? Fermentable carbohydrates are pretty ubiquitous in our diets and bearing in mind that your sensitive gut is likely to react to fats and perhaps even some proteins, you could end up eating a very limited diet. This could cause you to lose weight and become depleted of vitamins and minerals, not to mention the ‘essential’ fatty acids and amino acids that we must have in our diet to remain healthy. See my recent blog on losing weight on a low FODMAP diet. Dietitians know so much about diet and those that have been on a training course in low FODMAP diets can do a wonderful job in supervising the dietary intake of people with IBS. The problem is that are only about 600 FODMAP trained dietitians in the UK, waiting lists are long and they may not have the time to see a patient more than twice. Moreover, official dietary treatment of IBS is based on the food allergy principle of food exclusion and reintroduction, but sensitivity to FODMAPs is not an allergy, it is an intolerance. As such, exclusion is unnecessary. Restriction is the watchword. This is an important, not only because of the risks of nutritional deficiency but also because of a general observation that if you deplete people of a particular nutrient or component of the diet, their gut tends to become more sensitive to any attempt to reintroduce it. Exclusion is the easy bit and that is what 75% of people on a low FODMAP diet respond to. Reintroduction is much more difficult. Why would people want to reintroduce foods that upset their guts all over again. No study has convincingly shown that the symptoms of IBS are improved by the combined exclusion/reintroduction protocol. Yet there is published data from two independant centres showing that the low FODMAP diet considerably reduces populations of beneficial bifidobacteria; the same bacteria that many probiotics claim to replace. It has even been suggested that probiotics should be given together with a low FODMAP diet to protect the colonic environment, but perhaps there is another way. 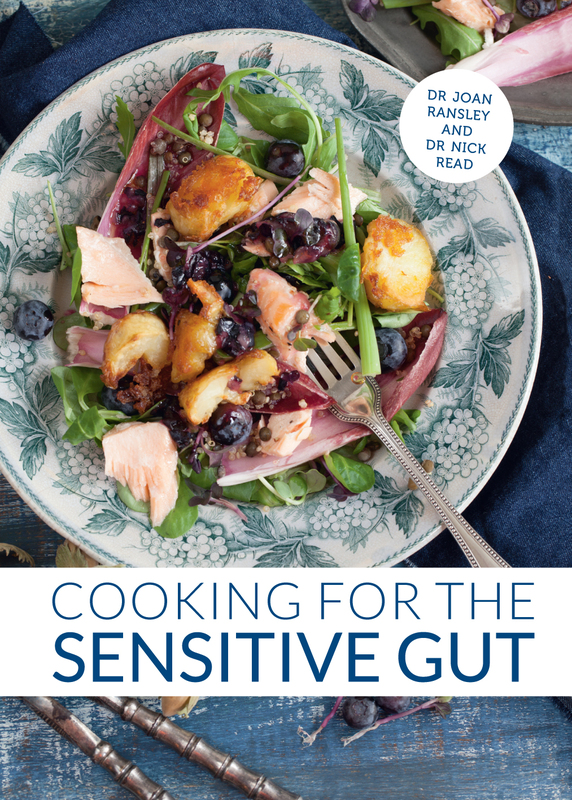 Joan Ransley, chef, food photographer and writer and lecturer in Human Nutrition at Leeds University and maintains a blog entitled ‘Cooking for the Sensitive Gut’. She and I have also written a book with the same title that is due to be published by Pavilion Books on January 14th, 2016. Both Joan’s blog and our book shows how people with IBS can learn to prepare a variety of attractive, delicious and healthy dishes using readily available ingredients that are low in fat and FODMAPs. Together with the FODMAP dietitians, we take the view that if people are to get over their IBS and lead a full and healthy life, they need to be helped to take responsibility for their own diet. Instead of telling people what they can’t eat, we show them what they can. We would suggest this is a confident place to start. And as people begin to get over whatever has caused the gut to become sensitive, they can customise their diet, finding out by experience what seems to suit them best. Gastroenterologist Peter Gibson and his dietitians, who first developed the low FODMAP diet at Monash University in Melbourne, Australia also seem to adopt a pragmatic approach. Caroline Tuck has recently tweeted that the low FODMAP diet should only be as strict as the symptoms require while Peter Gibson has said that some patients may manage fine by just cutting down their intake of onions and pulses. In a study I carried out in 1985 with my then research fellow Satish Rao (now Professor of Gastroenterology at Georgia State University in America), we demonstrated that healthy people could tolerate 25g of the FODMAP, lactulose, without symptoms while people with colitis and a sensitive gut could only tolerate 10g. The point is that people with a sensitive gut could still tolerate a reduced quantity of this disaccharide. This seems to be the biological essence of a low FODMAP diet, though of course it ignores the other variable, which can trigger symptoms in a sensitive gut, that is the effect of anxiety and stress at might be making the gut sensitive. Attempting to reintroduce different FODMAP foods piecemeal in somebody with a sensitive gut is like trying to hit a moving target and needs an understanding not only of a patient’s diet but also what might be happening in their life. And so, Joy, I am delighted to hear that the low FODMAP diet has made such a big difference to you, though I cannot see any biological reason why it should have also cured your back ache and tiredness as well other than the fact that finding somebody who understands and can help just makes you feel so much better overall. 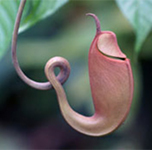 You will need to go through the reintroduction but it sounds as if your dietitian has a very positive healing approach. You are indeed fortunate in finding somebody you can work with. . I didn’t follow the re-introduction phase by the letter but I have found that although the low FODMAP diet partially improved my symptoms, they actually improved some more following reintroduction of some foods. Basically the vast majority of people do reintroduce FODMAPs and do continue to follow a modified low FODMAP diet in the long term with relief of symptoms. This study highlights the importance of the reintroduction phase of the low FODMAP diet as a means to long term self-management of IBS symptoms. Good news. I did catch your abstract and I look forward with interest to reading the full paper. When is it due out and in which journal? Well done. Hi Nick, I have left King’s to travel the world for a year so a colleague will write the full paper. Unfortunately this inevitably means a slow down on getting it completed. I will give you a heads up on your questions when things get going a bit quicker and we are at the editing stage…. This entry was posted on October 24, 2015 by nickwread in Diet, low FODMAP diet and tagged Diet, FODMAPs, Food Intolerance, Irritable Bowel Syndrome.